Annie Seaton is establishing herself as one of Australia’s finest authors of rural fiction. 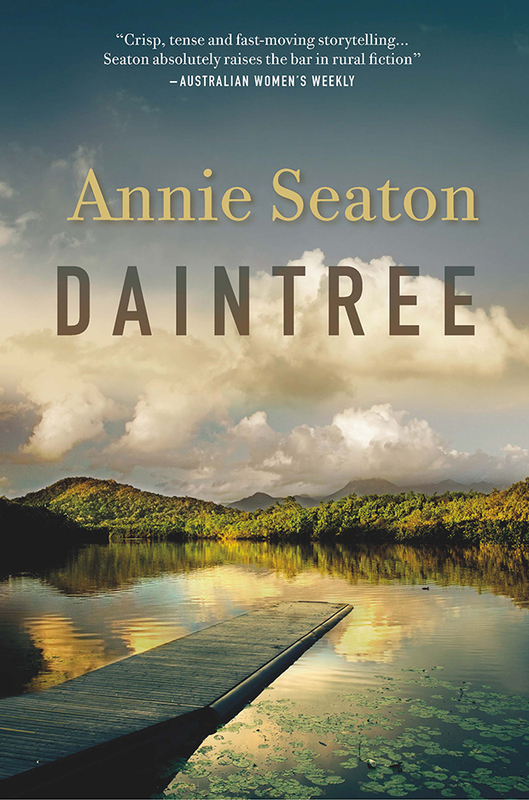 Seaton’s latest novel, Daintree continues the Porter Sisters Series which began with Kakadu Sunset. Each novel focusses on one of the Porter sisters with Daintree following the story of Emma Porter. 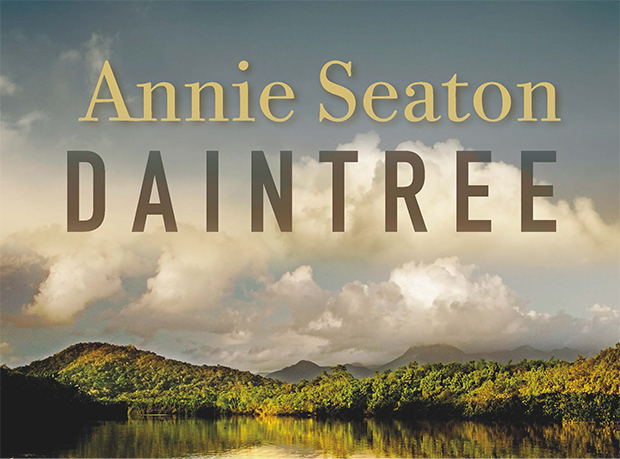 I found Daintree an easy to read novel and it made an excellent option for my daily commute. The story was captivating, intriguing and full of wonderful imagery of the lush tropical top end of Australia. Daintree’s central character is Emma Porter, a much loved local doctor in the township of Dalrymple. Emma practises a holistic style of medicine which further explores the wonderful world of the flora and fauna within the rainforests of the Daintree and surrounds throughout the novel. There is great mix of romance and suspense throughout Daintree. Apart from the romantic themes throughout the novel, preservation of the rainforest and smuggling of wildlife plays a big part in the story. I don’t like to give too much away but I really enjoyed reading Daintree and look forward to the next instalment of the Porter Sisters Series. The first book in the Porter Sisters Series – Kakadu Sunset. 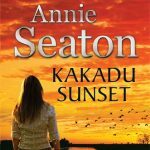 I enjoyed Daintree so much I will definitely be reading Kakadu Sunset! 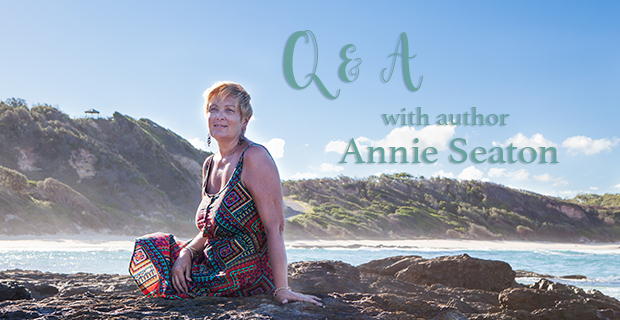 I was lucky enough to catch up with Annie Seaton for a quick Q&A! Q. Tell me a bit about yourself, and how your career in writing started? A. In early 2011, I made a life changing decision. Even though I wasn’t retirement age, the attraction of the world of full time work and a career in education had lost its appeal and I decided to spend some quality time at home doing the things I wanted to do! Over the years I had worked across the education sectors in both secondary schools and universities. The desire to write had always burned inside me and I decided it was now or never! I have always had stories in my head, but had only written a little novella when I was eleven years old and a short story when I joined a local writer’s group about twenty years ago. I had been an avid reader across many genres, including romance, as well as spending many years creating dry and dusty submissions for school funding. Writing seemed to come naturally to me and it was a pleasure to write. I decided to enter a Romance Writers of Australia competition and excitedly wrote the first three chapters of my virgin foray into the world of romance. That book was picked up by a large US digital publisher and became a best seller in 2012 reached the number one spot on Amazon.com in romance series. I wrote about twenty books in the first two years (yes, I was prolific once I started!) and were published by US digital publishers from 2011 to 2014 and I had some wonderful success both in Australia and internationally. In 2014 I submitted my three book Porter Sisters series to Pan Macmillan Australia and was delighted to be offered a contract to be published in print and Australia and New Zealand. A dream came true! Q. What was your inspiration for Kakadu Sunset and Daintree? A. In my stories, I love including places where I have travelled to share the experiences, and the beautiful landscapes, with readers who cannot travel to some of these isolated places in Australia. We travel to isolated areas of Australia in our caravan each winter. Kakadu National Park is one of Australia’s special places—World Heritage listed for both its environment and its living Aboriginal culture. Two years ago on the way to the Northern Territory, we crossed the vast outback through three states, travelling through ancient landscapes. Many of these landscapes have been scarred by various types of mining. Visiting Kakadu and experiencing the spirituality of the land made me wonder what would happen if mining occurred in that pristine environment. The idea for Kakadu Sunset was born. I guess you could call it Crocodile Dundee meets Erin Brockovich! The following year we travelled to the Daintree and visited Mossman and Cape Tribulation. Researching a book in the actual environment and living in that setting for a few weeks, enables me to describe my book landscapes in detail. You can evoke the atmosphere: the smells, the climate and the ‘feel’ of a place. I was looking for a suspense thread for this story and came across information about lucrative smuggling of endangered species and the corruption that goes along with it … it was just what I was looking for. At the time I was also reading about the long-term effect of trauma on individuals, including doctors and other health care workers. The threads of the story came together as Daintree. Q. Have you started your next book? What can we expect? A. Book 3 in the Porter Sisters series is almost complete and ready to hand to my editor at Pan Macmillan. It is the story of Drusilla Porter, the youngest Porter sister. Drusilla is an environmental engineer working at a diamond mine in the eastern Kimberley region of Western Australia. In 2015, we camped in the East Kimberley, explored and fell in love with the region. My two heroines of Kakadu Sunset and Daintree, Ellie and Emma, will both make an appearance in Book 3, which is yet to get a title. Again, this book will be a suspense novel with romantic elements. A. I have many favourite authors, and I read very widely. My dream is to one day write a historical novel. So I would say Anya Seton and Sharon Penman top the list. In contemporary fiction, I enjoy reading widely. At the moment, my author of choice is Liane Moriarty. My favourite international romance author is Kristen Higgins. Amanda, thank you for your kind words. I am so pleased you enjoyed Daintree!